Environmental Impact Comparison: CPVC vs. PEX Life Cycle Analysis | Lubrizol Advanced Materials, Inc. Interested in comparing CPVC to PEX when it comes to environmental impact? 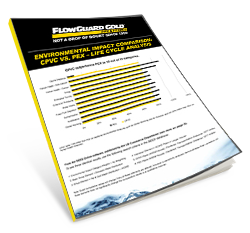 Download this report to learn why FlowGuard Gold is a trusted CPVC product among builders, plumbers, and engineers.